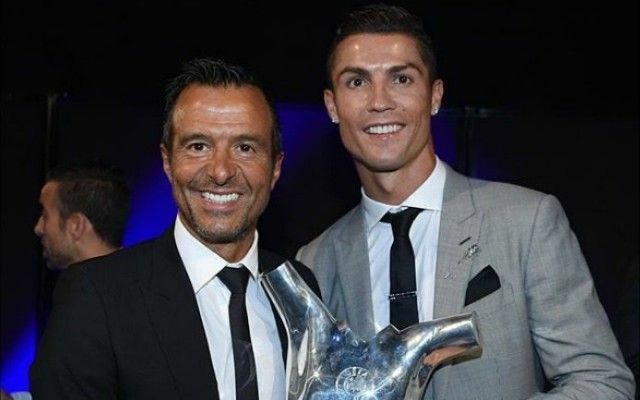 The Gran Gala del Calcio took place on Monday night, and Juventus fans were given reason to be excited thanks to Jorge Mendes. Amongst his big name clients include Cristiano Ronaldo and Joao Cancelo, both of whom joined the Turin giants this past summer. In turn, it would appear as though the two parties are building a strong relationship, and that continued this week as Mendes was spotted sat next to sporting director Fabio Paratici, Pavel Nedved and coach Massimiliano Allegri, as seen below. As the images made their way onto social media, the Juventus fans below reacted with excitement as they interpreted it as perhaps being a hint that Mendes could be working with the Serie A champions on another potential transfer deal. Wolverhampton Wanderers star Ruben Neves was specifically mentioned, but it remains to be seen whether or not there are discussions ongoing over possible Juventus signings. For now, the Bianconeri appear to be in a good place considering they’ve won 13 of their 14 Serie A games so far this season, as they look to secure an eighth consecutive Scudetto. Further, they’ve comfortably booked their place in the Champions League knockout stage, and so if they are to strengthen the squad further with the help of Mendes, it could be an ominous sign for their rivals both domestic and in Europe.